The residents of Impervious are the remnant—survivors of the War of Annihilation. And though the city is chockfull of pleasures to tantalize and entertain, a beast lurks in its corners haunting the residents with its presence. The Beast—a mysterious and terminal illness--has killed off most of Generations One, Two and Three. And as Gen-Four prepares to take the stage a provocative, yet questionable, new method to avoid an untimely death becomes a cultural rage. Fran thought for sure they would notice the hum when every venting slid open. She at least assumed there might be shouts from onlookers as thirty-one rebels emerged into the barren courts. She her feet froze in place, and her head turned to view the expanse of The Agora. It didn’t make sense. What was going on? Not one Graphie emerged. Not a single pixelated presence or computer generated voice declared each rebel become accountable. Every tiny hair on Fran’s body rose, and her head buzzed with an intense electromagnetic manifestation. Overhead lights dimmed, and a holographic scene unfolded. The smooth flooring of the shopping courts morphed into a desert-like terrain―just like the scene when she watched Nissa perform Mission Perdition for Ted. The Lunch Hut became a jagged butte with sharp rocks jutting out from its face. Hot wind burned her cheeks while pelting sand blew through the air. Artificial warmth engulfed her body. Her hands glowed. The voice boomed like thunder and echoed off of the high ceiling. Every rebel lit up like a glowing Graphie. Her mind reeled. A gritty substance scratched at her skin. She rubbed the heated surface and recognized the smell of magnetized dust—the technology that turned a live man into a gaming avatar. Highly-charged metallic receptacles pelted her skin, not desert sand as she assumed earlier. Although from her vantage point, Fran clearly recognized each Rebel housed within the glow of the holographic cameras, she realized that on the video screens, to the spectators watching in the stands, they were nothing more than gaming pieces. Thirty-one vents hummed closed as Zombies emerged—dreadful holographs with open wounds and rotted flesh. Fetid odor permeated through the courts; their shrieks and groans became a nightmarish audio backdrop as the announcer continued. Music sounded as the words “Mission Perdition II” floated through the air. Fran’s head whipped from side to side. A few Rebels scurried back to the openings from where they had emerged. Fran shook herself from the shock-inflicted paralysis. A human instinct, as basic as breathing, overtook her senses. She ran to the venting and swiped in the code. Her hands shook. Maybe she swiped the wrong numbers. She tried it again. Nothing. The grating remained stone cold. Unmoving. Locked up tight. She looked around as her comrades struggled for the safety of the dark maze. They scurried as they tried to dodge the ethereal light draped over them to no avail. About twenty-five feet away, Derrick, one of the newer Rebels, huddled against his venting and pounded on the opening with balled fists. His face contorted, and his mouth moved as he screamed. The crowd cheered when growls of death rang out from the hidden speakers, drowning out his desperate cries. A grisly, yellow-faced Zombie lunged at the rebel brother and covered him in a mound of snarls and rotting flesh. Holographic blood squirted out from beneath the Zombie, painting a nearby wall with red pixelations. It’s not real. None of this is real. She repeated it over and over. In their insane minds, The Council believed they could use The Rebels as human avatars. Fran knew it took more than holographic teeth and claws to kill a real man. Finally, the Zombie stepped away from Derrick. He lay on the ground in a helpless pile. Unmoving. A pixelated stream of blood trickled from his body. Her cries couldn’t be heard over the surrounding roar as the crowd went wild. The Zombie lifted two hands over his head in the sign of victory as he lumbered away from Derrick, toward Fran. “Derrick, get up!” She screamed the command over and over as she raced toward his body. As she lifted her hand, a spade pixelated in the air as if she held it. It stayed with her as she ran, and right when she moved past the Zombie, the spade came down onto his head. When it sunk, a deep, gloppy, squishing sound heralded through the speakers. Holographic gray matter oozed, leaving Fran sick to her stomach. It’s not real; it’s not real. She continued running blindly toward Derrick almost collided with Folsom as they both made the approach. Derrick still lay unmoving. He can’t be dead. It was just a holograph. She smelled it first―the odor of seared flesh. Her gaze locked in on his body. He remained wide-eyed as if in shock. His arms jerked once or twice, and his legs followed suit, giving Fran a moment of hope. Yet, as she neared, she saw the absence of breath— no rise or fall of his chest. And a soft coil of smoke as it rose from Derrick’s body. He had been cooked… from the inside out. real life, she’s the proud mother of two grown sons and lives part-time in Northern Illinois with her husband, but scurries off to warmer climates when the mercury takes a dive on the thermometer. 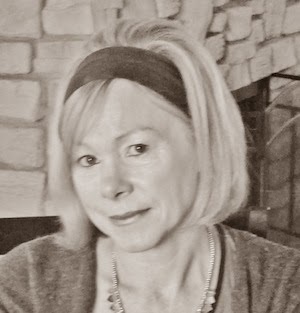 As well as The Ascension Series, Heather contributes to WHOAwomen magazine, The Fit Christian, Tween Girls and God, Devotion Magazine as well as Swagga for Christ Ministry. 1. 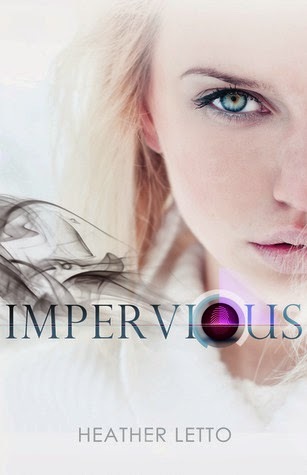 The rafflecopter below is open INTERNATIONALLY and is for a Signed ARC of Impervious. 2. The second giveaway is also open INTERNATIONALLY and is for an ebook of Impervious. All you have to do is comment below and make sure you leave your name and e-mail address! The winner for this will be chosen on April 7th. thanks for the lovely giveaway,this book sounds very interesting!! Thanks for the giveaway! It really looks interesting and what a nice cover! Loving the cover. This sounds like a fantastic book & series. 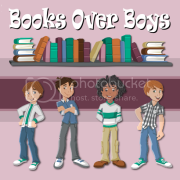 Just stumbled on this site and this book cover caught my eye! It sounds like a good read!